Quilt Sampler Magazines are in!!! We are so excited to announce the early release of the Quilt Sampler Magazine 2018, in which we are featured as one of the Top 10 Quilt Shops in the Country! We do however, have a 2nd one made at the store. 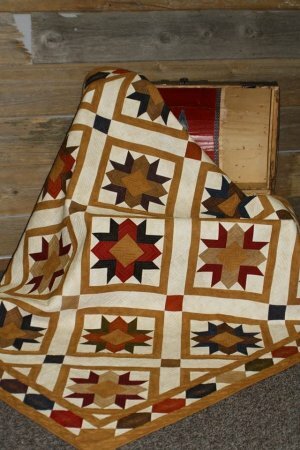 our Arrow Star Quilt, 72 x 72, is $118.99. and Saturday, May 4th from 9 AM to 3 PM. If you are unable to make it please give the store a call to reserve a copy, or check out our website to purchase one.